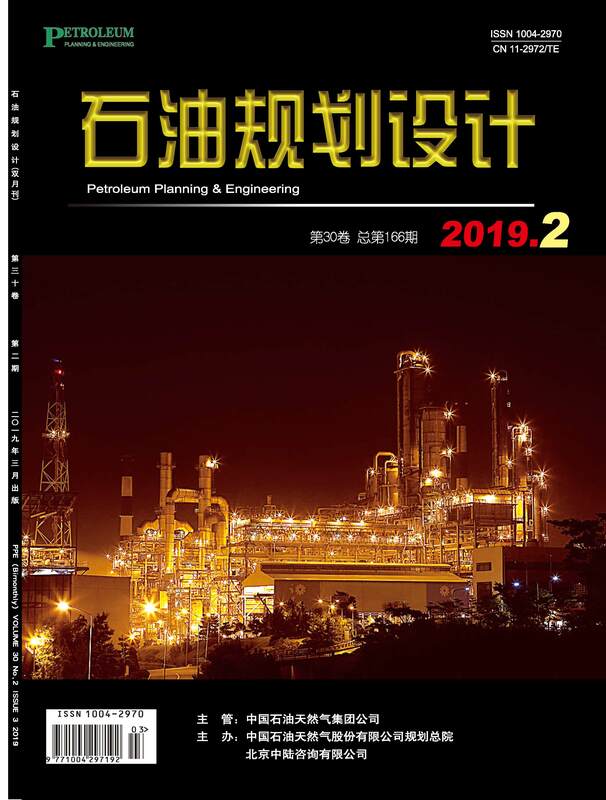 英文摘要：In order to promote the green, safety and high efficient development of domestic petrochemical industry, the construction of refining project, ethylene project and p-xylene project should follow the principle of park industrialization, refining-petrochemical Integration, plant enlargement and clean production. Take the construction of refining-petrochemical integration project with single series of 15 Mt/a capacity as an example, the processing scheme of process high-sulfur crude oil in the Middle east is researched. The result shows that heavy oil process should adopt the combined process of RDS-RFCC for bottom oil, hydrocracking with producing heavy naphtha for Vacuum gasoil, selective hydrocracking for gasoil and straight run heavy naphtha together with secondary processing naphtha for aromatic complex. Through the optimization of stream routes among refinery, aromatic complex and steam cracking plant, the integration design of refining, aromatics and steam cracking can be realized.